What is a Board Certified Behaviour Analyst? And Why Do I Need One? …And Why Do I Need One? I’ve been noticing lately that there are many practitioners who claim to “practice ABA” or “use the principles of ABA” that aren’t actually Board Certified Behaviour Analysts. Often, when searching for solutions for children, parents are unaware of what qualifications they should be looking for. 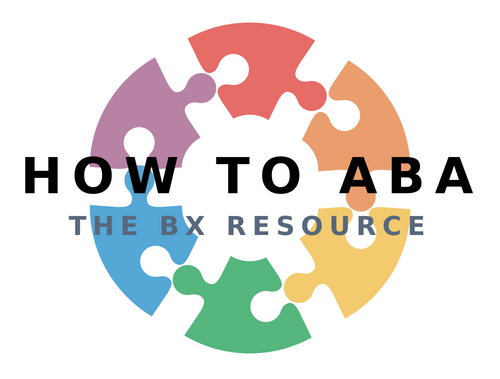 If someone is able to solve a behaviour problem, do they need to be a BCBA? RBT – Registered Behaviour Technician. With only a high school degree requirement, an RBT is usually the one responsible for direct implementation of goals. An RBT would have to practice under the close supervision of a BCBA/BCBA-D.
BCBA – Board Certified Behaviour Analyst. This is the graduate level of certification. A BCBA can practice independently and supervise the work of BCaBA’s and RBT’s. BCBA-D – this is a BCBA who has doctoral training in Behaviour Analysis. They function in the same capacity as a BCBA. BCBA stands for Board Certified Behaviour Analyst. To become a BCBA, a Masters level of education is required, either in ABA or in a related field. There are specific courses that must be completed that are approved by the Behaviour Analyst Certification Board (BACB). Along with the coursework, we are required to obtain 1500 hours of supervised experience where we receive hands-on training from an approved supervisor. During supervision, we need to be able to demonstrate competence in our behaviour analytic knowledge and practice, as well as our ability to supervise others in the performance of ABA. Besides for being well-trained in the field of ABA, we are required to stay up to date with the most recent research and developments. BCBA’s must log continuing education credits in different topics within ABA, including ethics. We are held accountable to a code of ethics that dictates what we can and cannot do. For example, maintaining confidentiality and using least-restrictive procedures. Being regulated by a board (BACB) means that you can complain about us! If a BCBA does anything unethical, you can let the board know and it will be dealt with. What can a BCBA do? 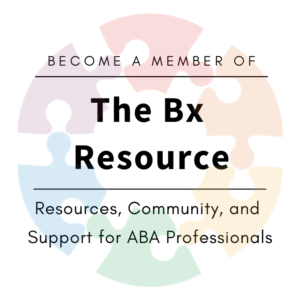 BCBA’s are qualified to assess, plan, and supervise an ABA program. We would start by meeting with the client, usually in person, and getting an idea of what their skill level is. We also speak with parents for their input on the goals they have for their child. From there, we fill in an assessment, some of the most common ones being the ABLLS or the VB MAPP. These act as baselines from where we can see progress (or lack of progress) and they get updated regularly. We then put together and plan a program that targets the skills that are important to the parents and that are socially significant for the child. Everything we put in place is data-driven and we continue to take data and make updates and changes as the data suggests. For progress to happen within an ABA program, goals and targets need to be monitored and updated. This requires the knowledge level of a BCBA to read the data and understand the next steps. Alternatively, if things aren’t progressing as they should, the BCBA should be able to troubleshoot, make suggestions, and solve the problem. A BCBA is well-trained in strategies to manage negative behaviour. One of our most valuable tools is the ability to carry out a Functional Assessment. Through this, we are able to determine the function of a negative behaviour and then implement a treatment that will solve for that function. For example, if a child is “hitting another child during circle time”, it could be for a variety of reasons. A BCBA would be able to determine WHY the child is hitting. He could be hitting because he hates circle time and when he hits someone, the teacher removes him and puts him near the books (preferred). Or he could be hitting because when he does that, he likes the reaction he gets out of the other student. Depending on the reason for hitting, the intervention would look very different. Figuring the WHY of behaviour is one of the most important practical skills in our repertoire. The programs and goals that we put in place are only as good as the people implementing them. We spend a great deal of time training therapists and teachers to run the programs effectively. We also focus on parent training and giving parents the tools and strategies that they need to succeed. We want what we teach our clients to generalize beyond the ABA session so training other people in their lives is integral. A BCBA is only as useful as his/her experience and ability to be effective with a particular client. It’s important to do your research and find one that you like. Don’t be afraid to ask questions! This entry was posted in ABA, Autism. Bookmark the permalink.